This portrait uses the common supermarket barcode for two types of Campbell's Soup that Andy Warhol did a painting of in 1962. 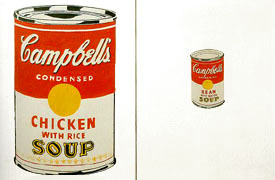 The painting was a dyptych titled, Campbell's Soup Cans (Chicken with Rice, Bean with Bacon) and pictured one large and one small soup can. 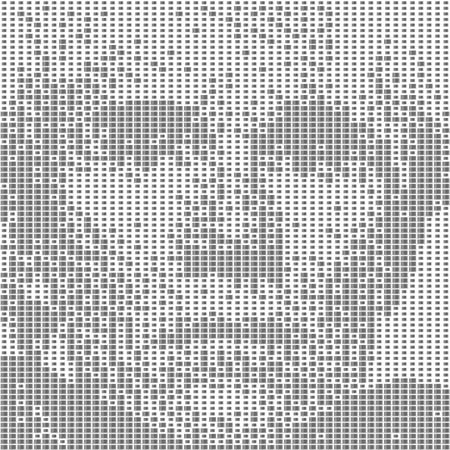 I mimiced Warhol's use of scale in this portrait by making one barcode big and the other small. Image Dimensions - 50 x 50"